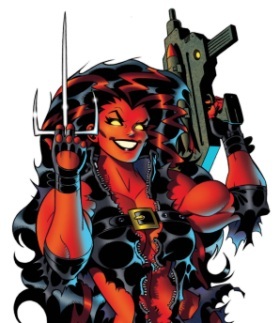 This is Red She-Hulk, because Marvel are not out of new ideas, no sirree. Sure, they’ve done the ‘female version of male character’ thing a lot lately, with the likes of Black Panther, Ultron, Hawkeye, and so on, and they’ve done the ‘evil version of good character’ thing even more, with Red Hulk, Daken, and the entire Dark Reign thing. But ‘evil female version of male good character’? That’s some crazy innovation right there! I expect the creative process was exhausting, too. ‘Do we go with ‘Red She-Hulk’, or ‘She-Red Hulk’? Let’s have another writers’ retreat’. Last night saw the announcement of this year’s Eisner award winners at Comic-Con, with deserving wins for Comic Book Resources, Matt Fraction’s Invincible Iron Man, Art Baltazar’s Tiny Titans, and Image’s Comic Book Tattoo. Grant Morrison’s All Star Superman won Best Continuing Series, despite not being a continuing series. Whoops. It is a terrific book, though; it’s just in the wrong category (or a badly named category, perhaps). Get the full results at The Beat, courtesy of Heidi MacDonald. This is a particularly strong example of an odd trend in comics-to-movie (and TV) adaptations. Alicia Masters turned black in Fantastic Four. Kingpin turned black in Daredevil. Pete Ross turned black in Smallville. Iron Man opted for the black Nick Fury. Hollywood is not known for its embrace to diversity, but when it takes on a comic book story it actually has to add black characters. Existing ethnic and female characters also often get a profile boost. Comics are so bad at this stuff that even on a mature readers Vertigo title, Hollywood takes the medium to school. Hollywood. It’s like getting racial sensitivity seminars from Pat Buchanan. Aside from the Eisners, the biggest news out of SDCC yesterday was that Marvel has acquired the rights to Miracleman, or rather, Marvelman. For years Marvel insisted that we call him Miracleman, now they suddenly want us to call him Marvelman again. So indecisive. 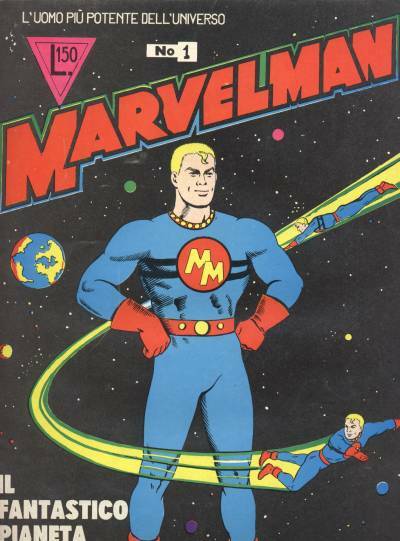 Marvelman was created in the 1950s by Mick Anglo, and famously reinvented by Alan Moore in the 80s. Fans are treating the acquisition of Marvelman as a big deal, but it’s really just the long-anticipated fulfilment of something set in motion years ago. The purpose of the Neil Gaiman Marvel comic 1602 was to raise money to sue Todd McFarlane for his unauthorised use of the character, and to clarify once and for all who actually held the rights. Even then it was clear that the eventual intent was for Marvel to take ownership and reprint the comics (though it sounds like Marvel does not yet have all the story rights). The name reversion was also always part of the plan, but it may suggest a worrying development for fans of the character. It seems inevitable that Marvel will try to integrate the character with the Marvel universe, but Marvelman is basically a Superman analogue (by way of Captain Marvel), and as Sentry has proved, Superman analogues do not fit well in the feet-of-clay Marvel world. Squeezing Marvelman into a world of crossovers and Red She-Hulks will be like having characters from The Wire dropped into One Life To Live. Showing the full extent of his sophisticated understanding of Marvelman, Marvel editor Joe Quesada said, “It is arguably the JD Salinger of comic book characters”. JD Salinger is an author, of course, and not a fictional character. 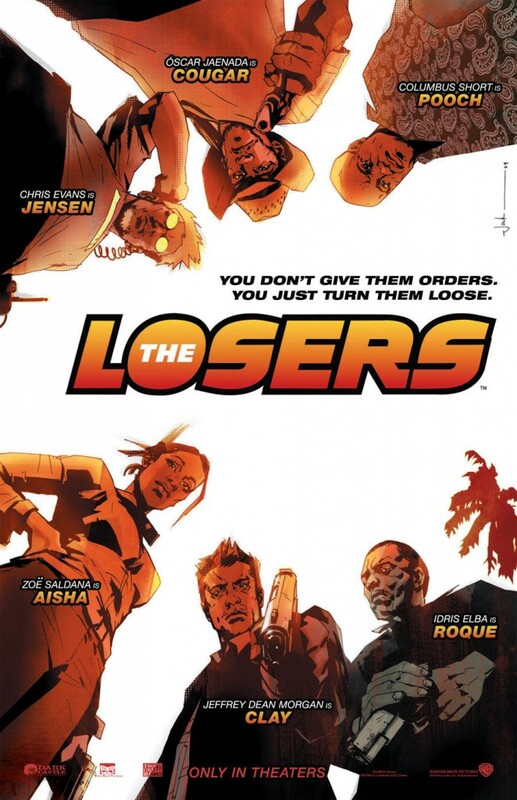 Quesada may have been thinking of Charlie Salinger, Matthew Fox’s character from Party of Five. That sounds good, but it’s only words. Nothing has changed. 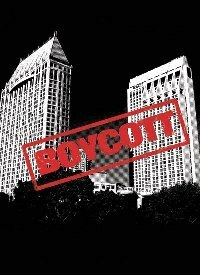 Mr Manchester spent $125,000 to help strip Californians of their rights. He’s now donating $25,000 to support giving them different rights, plus hotel credit to lure gay customers back to the hotel. That does not balance the books. If Mr Manchester truly believes that every American deserves equal rights, we need action, not words. Let’s see an equal or greater donation in support of gay marriage, from the same wallet that donated $125,000 to take those rights away. I’ll leave you with a little palate cleanser; the trailer for Sam Raimi’s new swords-and-sandals TV show Spartacus: Blood and Sand, which debuts in January on Starz and sees Raimi re-teaming with Xena star Lucy Lawless. It looks gloriously violent and shamelessly sleazy - all thighs and biceps as far as the eye can see. 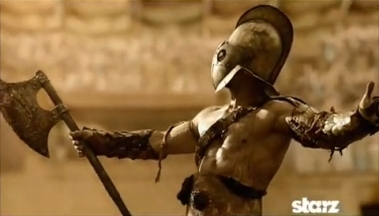 While HBO’s Rome did everything on an expensive set, Spartacus is shot on cheap-and-cheerful green screen, 300-style. It will be terrible in all the best ways. Sources: CBR, Newsarama, The Beat.